見到你出呢個post真係好呀 ! 因為我都有這包野未諗到都樣去"消滅" 佢 ! What is 牛奶? Do you mean fresh full cream milk? 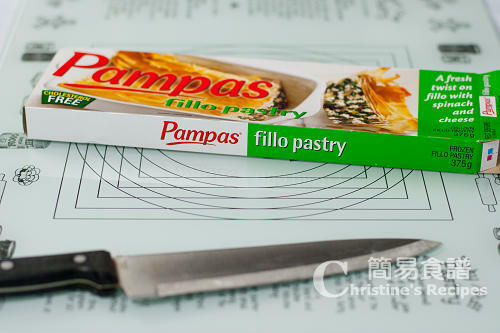 and where can I find the 低筋粉 (in coles?). What is the English name? Yes, I used fresh full cream milk. 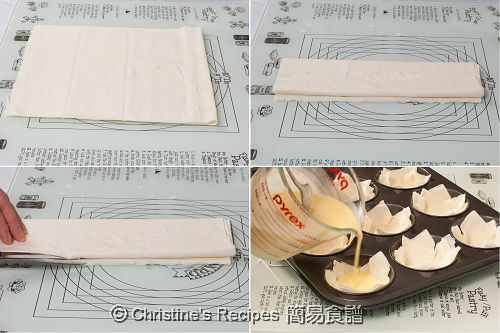 You can get 低筋粉 (cake flour) from Asian grocery stores. 我試整咗呢個, 超好味啊^^ 我仲叫佢做"吉士薄片酥皮花花"呢~~ thank you very much ar! 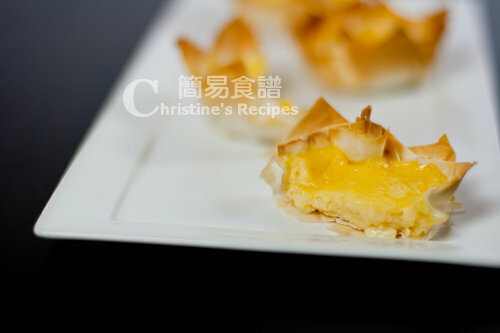 can you share your recipe of making the ""egg white tart" too??? 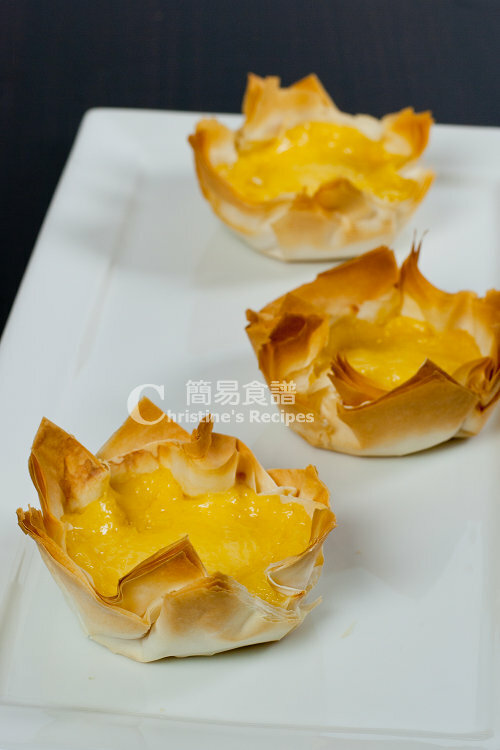 I've tried eating some ""egg white tart" before, but not so yummy coz hardly can taste "eggs" in it~any tips when making the egg white filling??? Thanks! 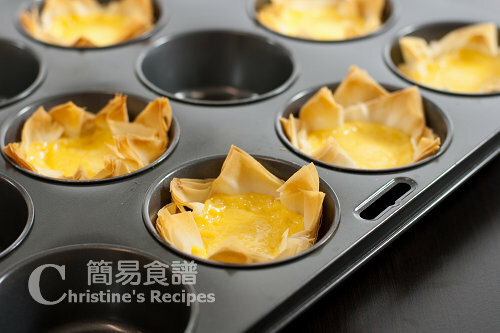 can i use d same 蛋汁材料 as illustrated in your 港式蛋撻 recipe? Why not? as long as you like it.